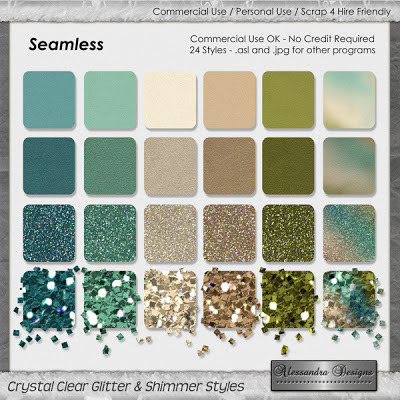 Here are the glitters that I used to create all the beautiful papers and lovely elements of my kit Crystal Clear. Use them to create your own Elements, Titles, Alphas, etc. to incorporate to this amazing collection. 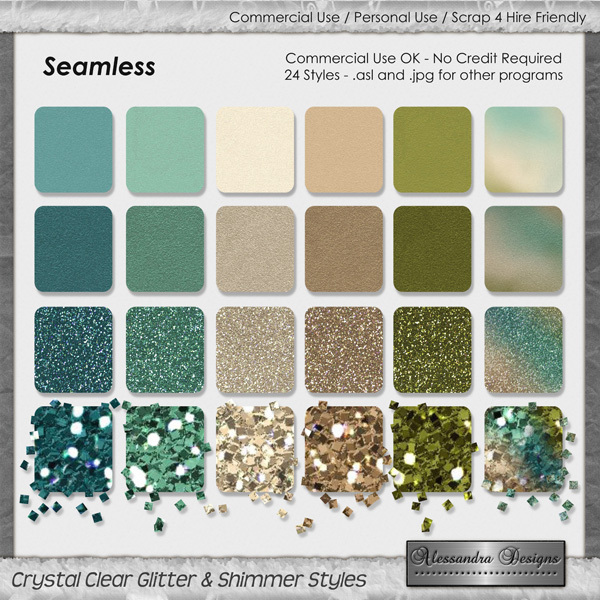 In this pack you will find 05 solid Glitter's Colors and each one of them in 04 different seamless versions: Plain, Soft, Shimmery and Shiny. There is also a unique multicolor Glitter in all those 4 versions for your "glittery" pleasure! For those of you who don't use Photoshop, I have also created 24 seamless .jpg files 1200x1200, that can be used on any other program. This collection will attend all your customization needs!